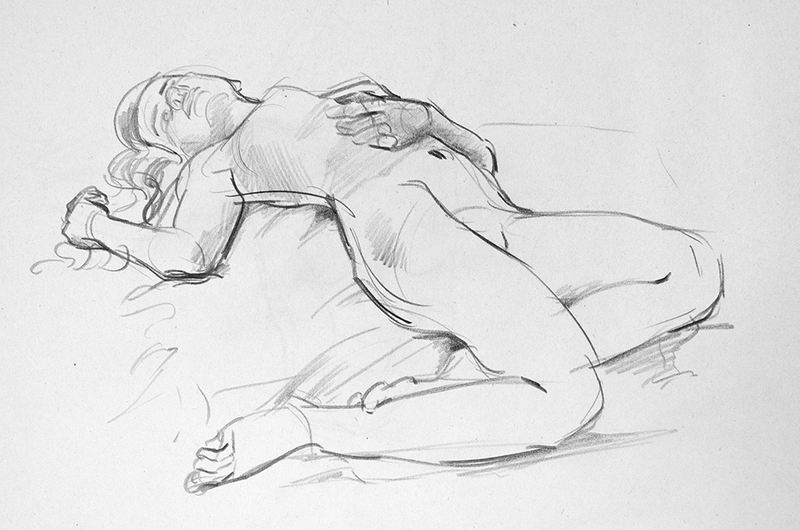 Katrina modelled at this special ‘animation’ life drawing session with short poses. 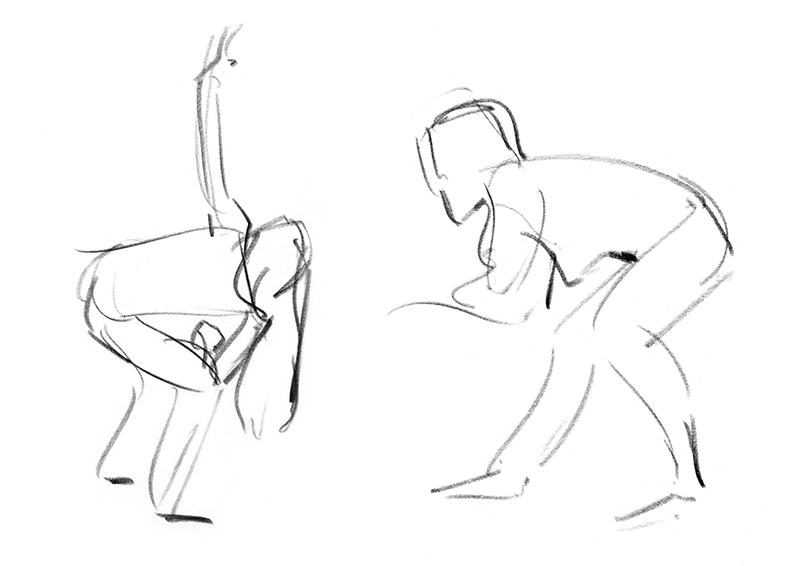 Normally there are poses from 2 minutes up, but we had several 1 minute poses and (after I begged) some 30 second ones too. 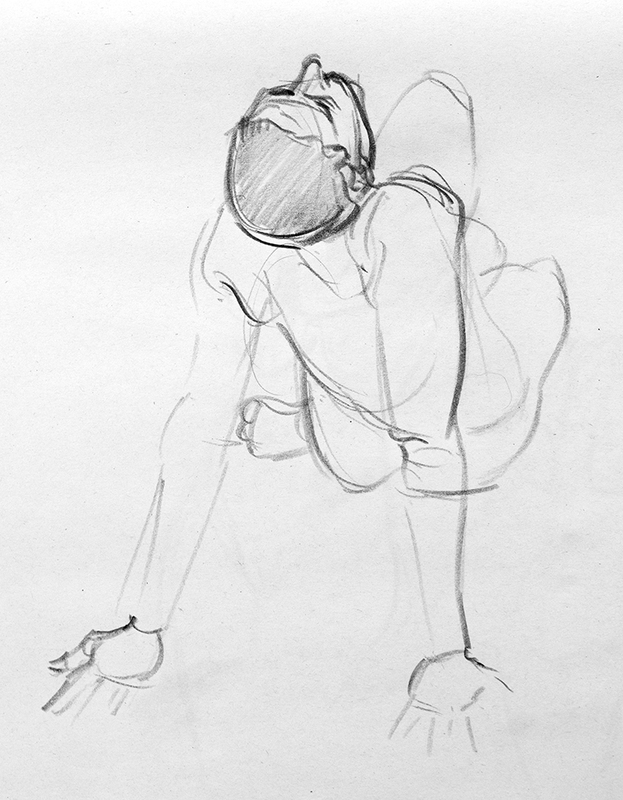 We began with a sequence of 1 minute poses. 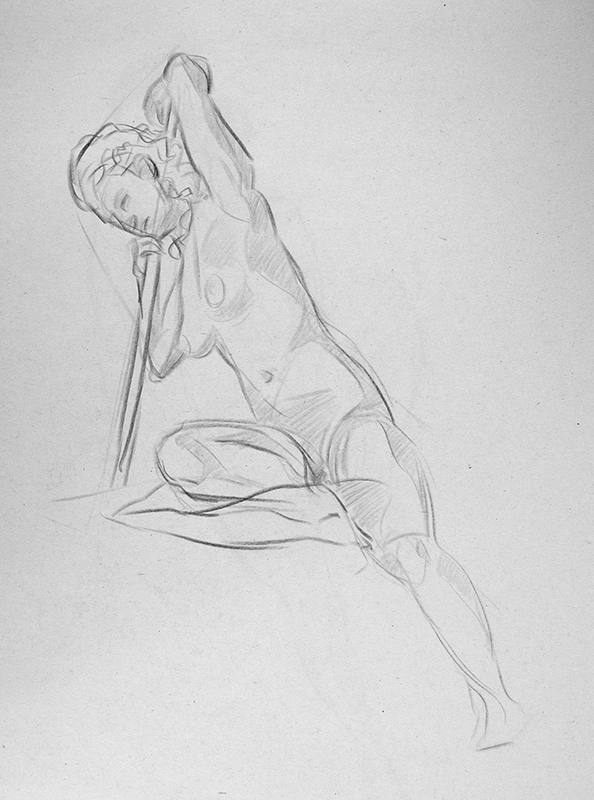 There were several longer poses dotted about through the session. 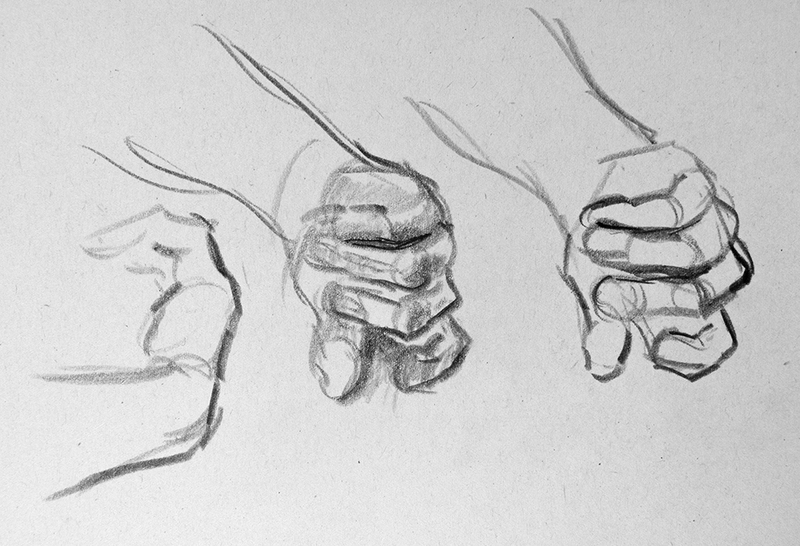 The hand studies were drawn during a 15 minute pose, and the others were 10 minute poses. 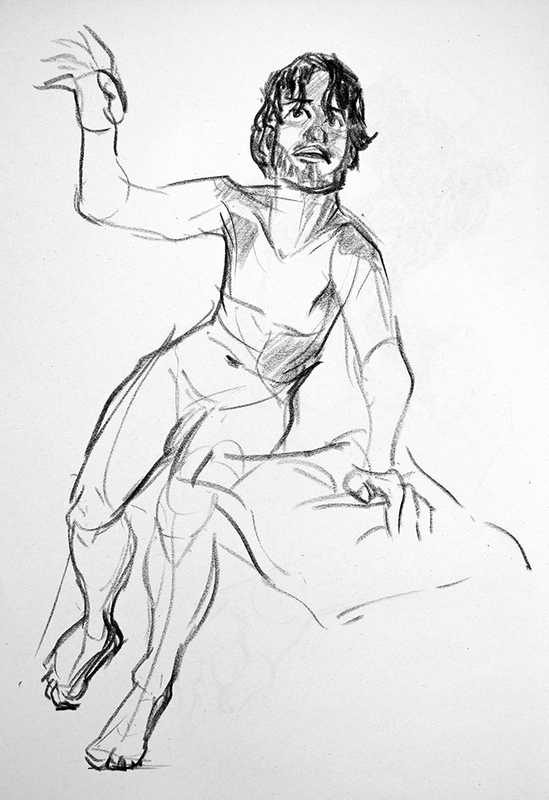 It was fantastic to do some live 30 second drawings again. 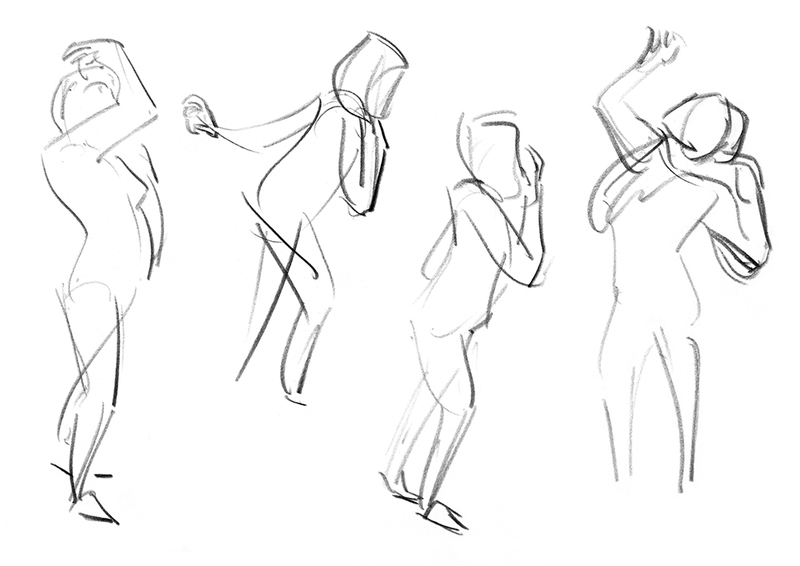 It’s such a good way to learn gesture and storytelling, and to train to speed up in longer poses. 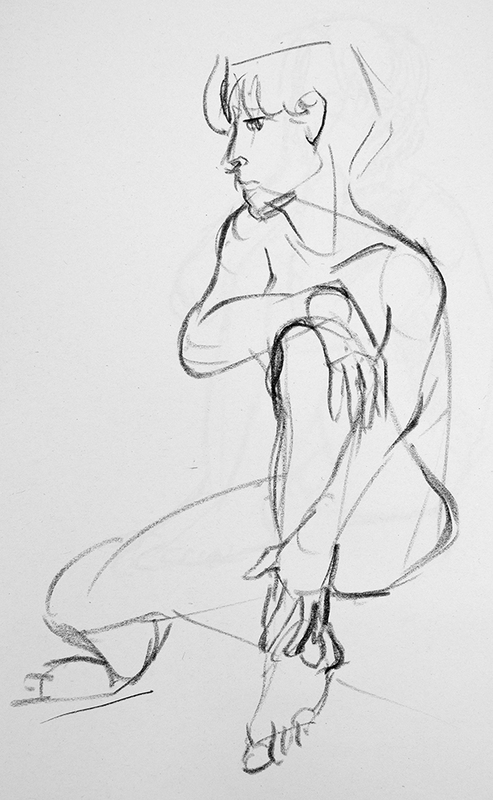 Near the end of the session we had some more 1 minute poses. 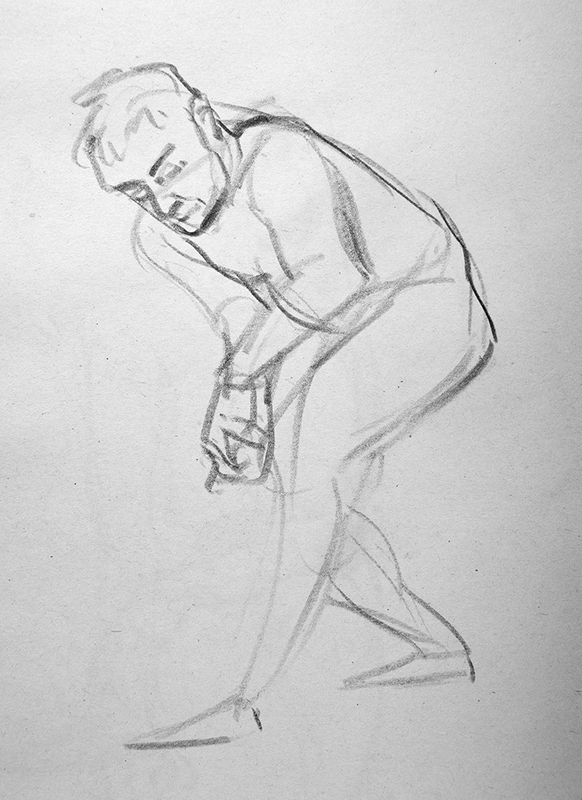 By this point I was able to get details down more quickly. 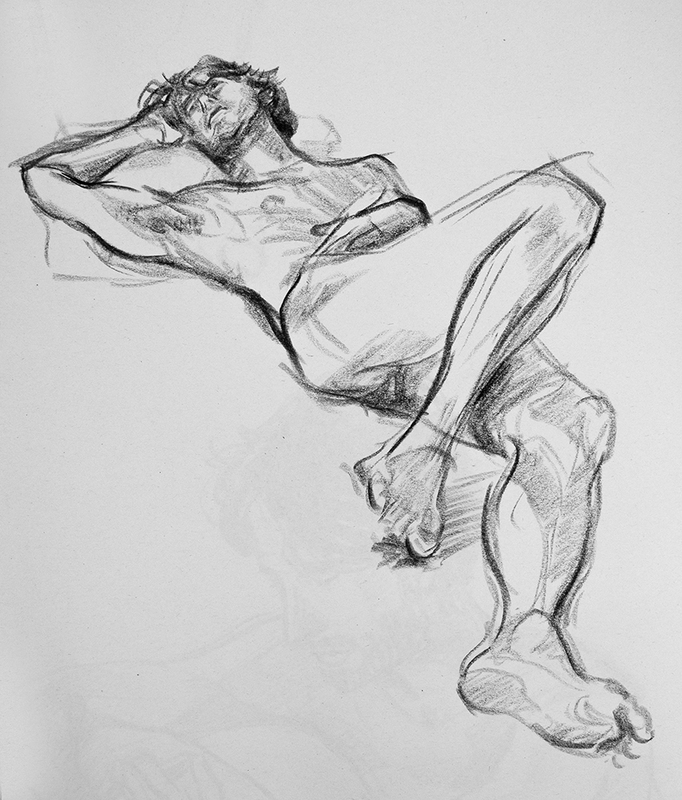 I have been snowed under with a job, Christmas, and a new niece (all very exciting but quite hard work) and that’s meant my life drawing from last year has been put aside until now. 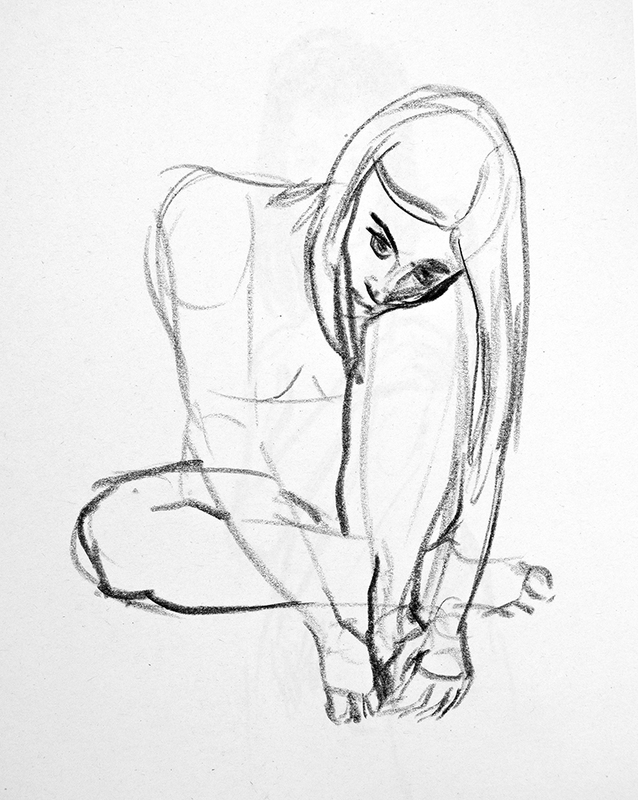 First up are drawings of model Gina, from back in November! 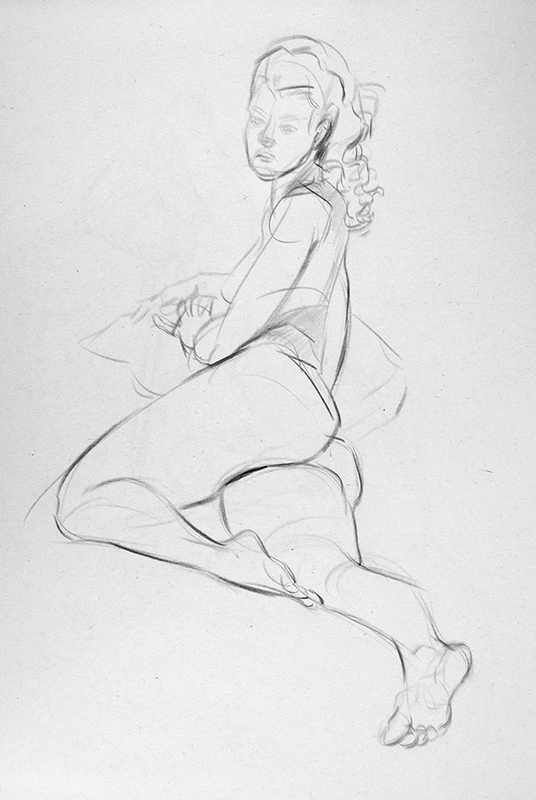 Drawings from a couple of weeks ago, with Tamara modelling. 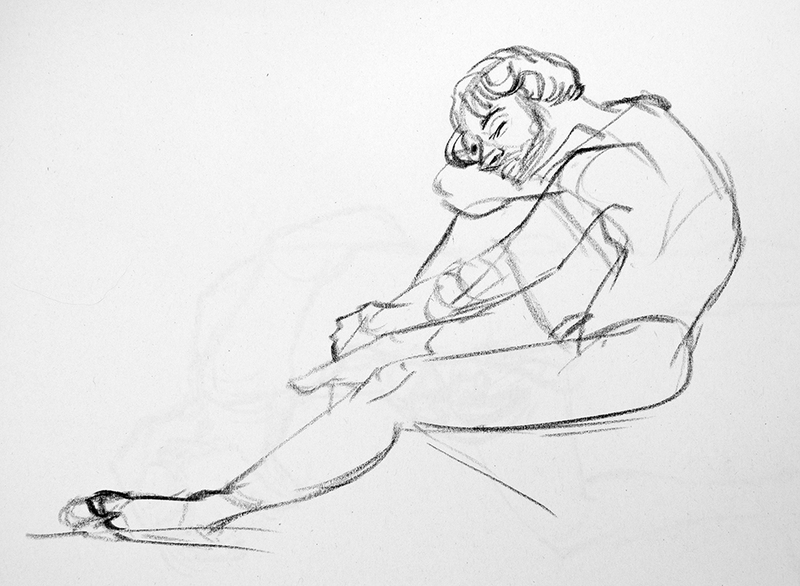 Last week I had a good life drawing session with lots of dynamic and interesting poses. 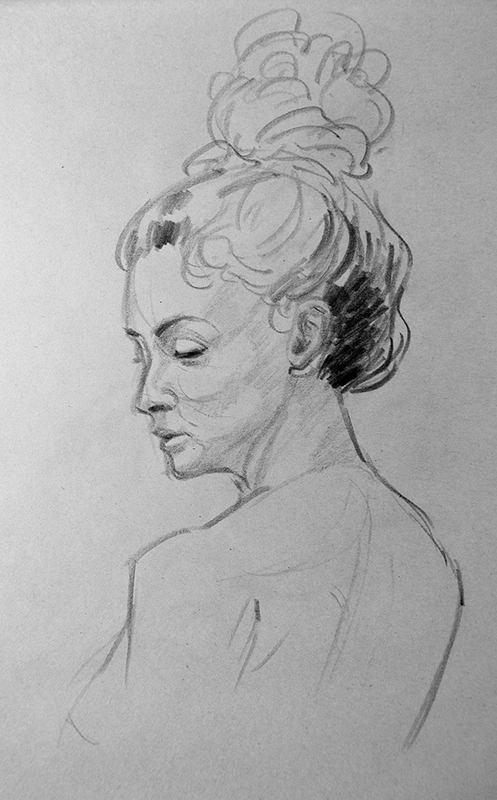 I drew in conte pastel for the first half, which was an attempt to shake me up a bit and loosen my drawings. 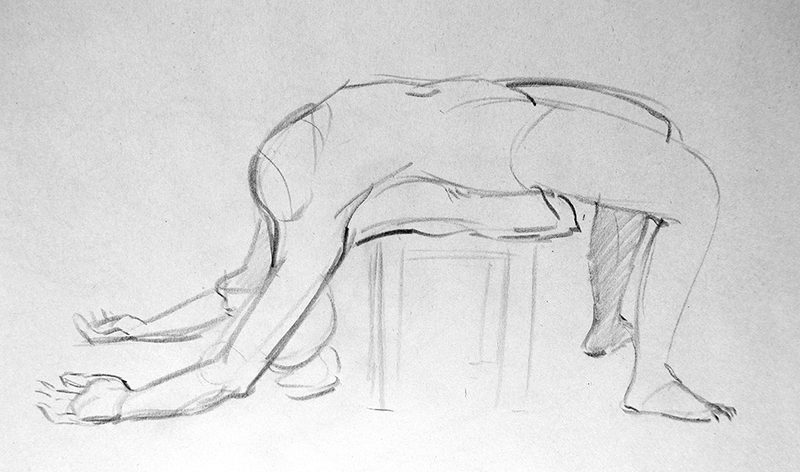 Though everything felt a bit messy I think it was good as an exercise. 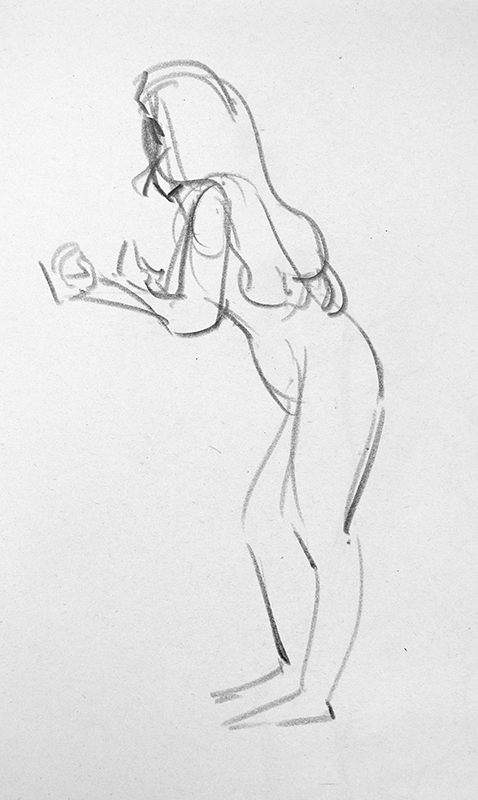 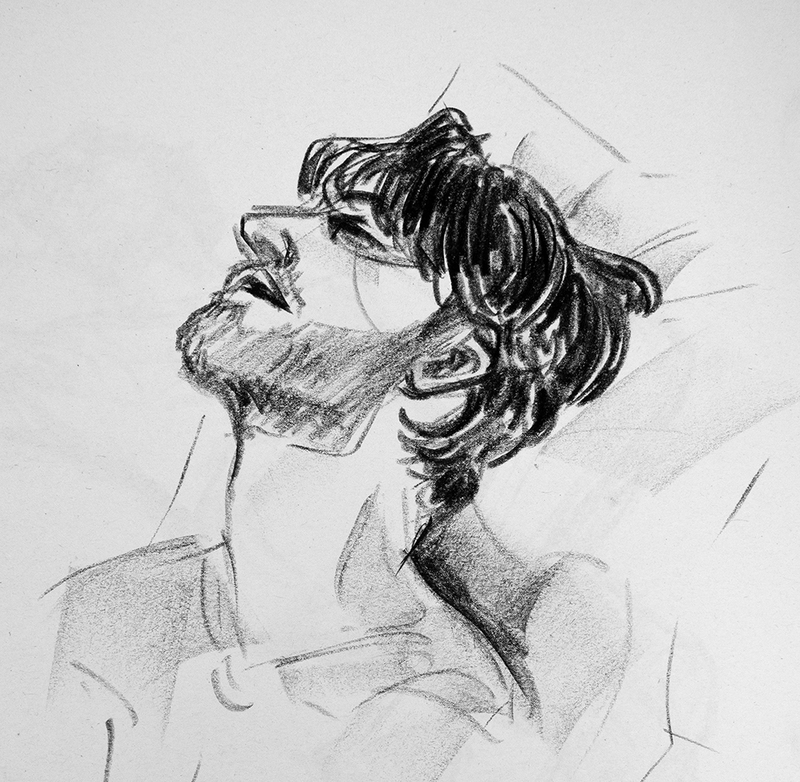 I’ve noticed I’m getting much slower: I need to get back in the habit of regular gesture drawing to counteract this! 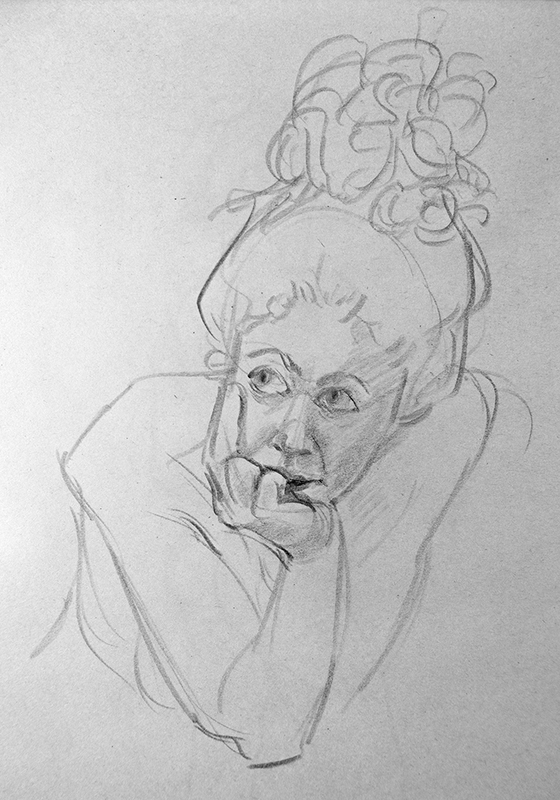 My first drawing session after Christmas, and I was quite rusty … it took me a while to warm up. 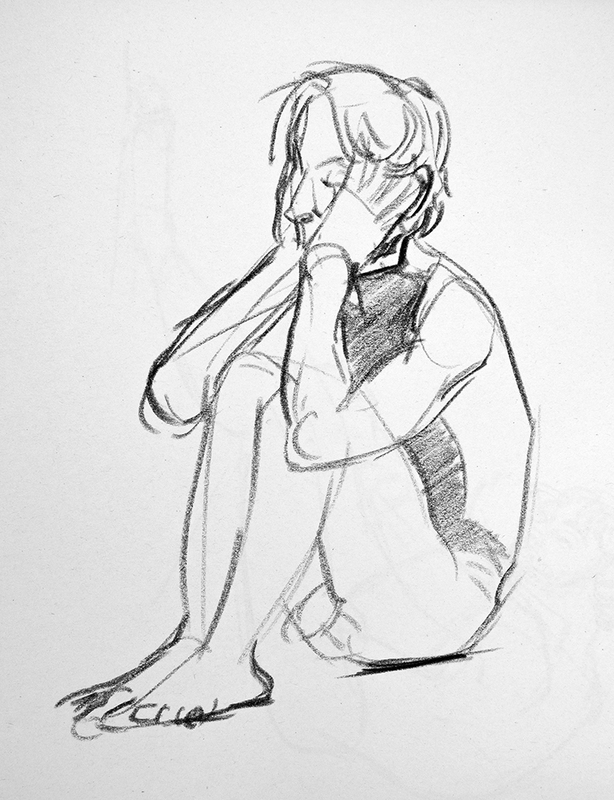 We had a break just as I was beginning to feel I could draw again!